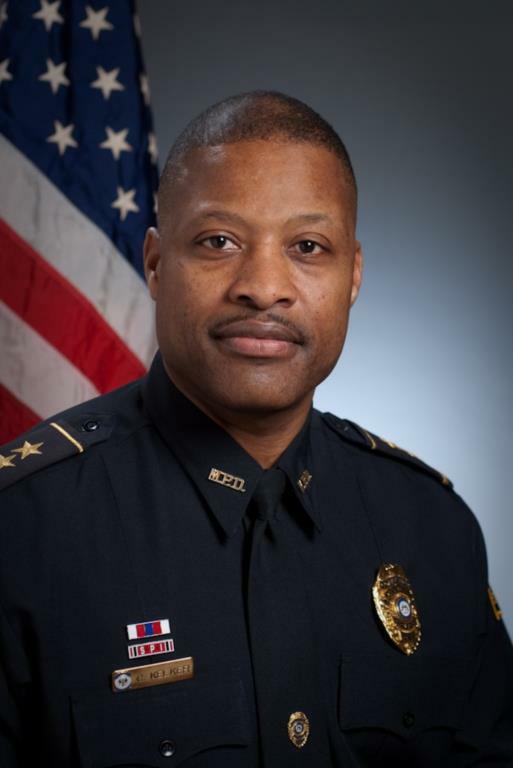 Chief Cliff Kelker, was appointed as the Chief of Police of Jonesboro Georgia August 20th, 2018. Chief Kelker, began his law enforcement career at the Marietta Police Department on October 10, 1991. He commanded the Investigative Services Division and held the additional duties of Coordinator and Vice-President of the Police Athletic League (PAL). His previous assignments included all three shifts in Uniform Patrol and all three divisions (Patrol, Administration and Investigations). Chief Kelker developed the Marietta Police Department’s first Citizens Police Academy, was one of the founding members of the Crime Interdiction Unit (a street-level drug unit) and led the initiative to get all the officers in the department a weapon-mounted light system for primary duty weapons. Chief Kelker has a Bachelor’s Degree in Public and Social Services and a Master's Degree in Public Administration from Kennesaw State University. He has completed several executive management training courses to include being a graduate of the 55th Session of the Senior Management Institute for Police (SMIP) at Boston University and the 106th Session of the Administrative Officers Course at the Southern Police Institute on the campus of the University of Louisville. He also completed the Carl Vinson Institute of Governance-Management Development Program, the International Association of Chiefs of Police-Leadership in Police Organizations course and is a graduate of the Dale Carnegie Leadership course receiving the highest award. He served over seven years in the United States Army and deployed with the 101st Airborne Division to Operation Desert Shield and Operation Desert Storm. At the end of his enlistment in the Army, he answered the call to be a police officer and proudly remains to this day. Chief Kelker is currently serves on several community boards and is an active member in his church. Chief Kelker’s philosophy for policing is working with members of the community in the spirit of service to make our community safer.